The Ministry of Foreign Affairs has expressed shock over the death of Amb. Abiodun Bashua, a retired career Ambassador, who died in the Ethiopian Airlines that crashed on Sunday morning. He was until his death, working on contract with the United Nations Economic Commission of Africa. The Ministry said this a statement by its Spokesperson, Mr George Edokpa, on Sunday in Abuja. 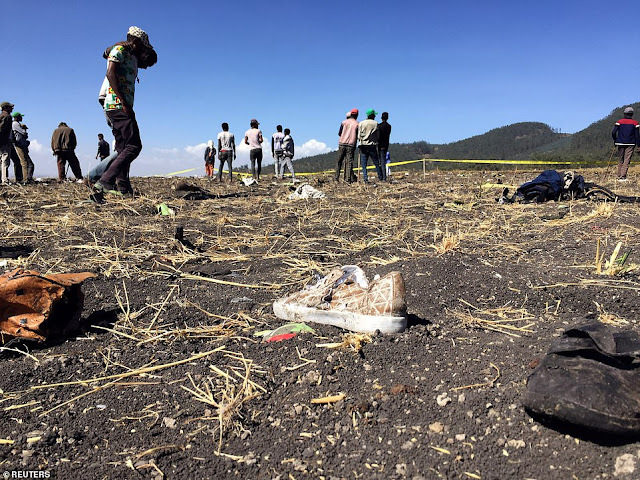 ”Ambassador Bashua was among 149 Passengers and eight Crew that were on board the ill-fated Ethiopian Airlines Flight ET302 to Nairobi, Kenya that crashed shortly after takeoff from Addis Ababa, Ethiopia on Sunday killing all on board. ”Foreign Affairs Minister Geoffrey Onyeama and Staff of the Ministry received the sad news of his death with great shock and prayed that the Almighty God grant his family and the nation, the fortitude to bear the irreparable loss. ”Late Bashua, who hails from Lagos State, was born in Ibadan in 1951 and joined the Nigerian Foreign Service in 1976, ” it stated. According to the ministry, the late Ambassador served in different capacities both at Headquarters and Foreign Missions such as Vienna, Austria; Abidjan in Cote d’ivoire and Tehran in Iran among others. ” As a seasoned UN Expert, he had extensive experience in several United Nations peacekeeping operations in Africa. ”He joined the African Union-United Nations Hybrid Operation in Darfur in 2009 and was appointed Deputy Joint Special Representative for the African Union-United Nations Hybrid Operation in Darfur in 2014 by the Secretary-General of the United Nations. ”Bashua also served as Secretary to the Conference of Parties of the United Nations Framework Convention on Climate Change.